Brad McCrimmon was an underappreciated Defenceman in terms of his overall performance in the NHL. While he played for seven NHL teams, he is (or at least should be) be best known for his time in Calgary where he helped the Flames win the Stanley Cup and was the NHL leader in Plus/Minus. That year he was also named a Second Team All Star. McCrimmon was a solid defensive specialist who would finish in top ten in Defensive Point Shares six times, including a first place finish in the 1985-86 campaign. Sadly for many McCrimmon is remembered by many for being a casualty (as the head coach) in the KHL Lokomotiv plane crash in 2011. 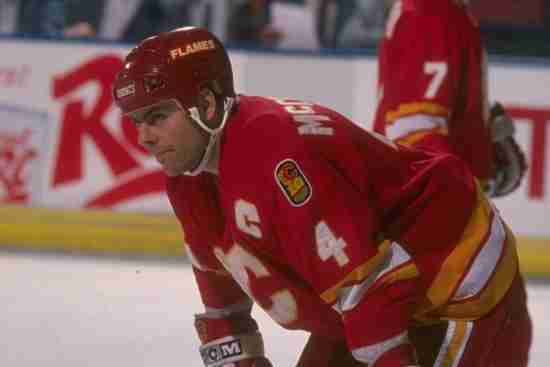 Should Brad McCrimmon be in the Hall of Fame? See More Info about Brad McCrimmon on Everipedia!